Car accidents happen without a warning, and they can happen to anyone. It is critical to be aware of your legal responsibilities and reporting procedures, if you are involved in an auto accident in Portland, OR. While your best recourse would be to seek legal guidance from an experienced car accident attorney in Portland, you may be required to do a few things even while you are in the process of choosing or consulting a lawyer. If you fail to file the required report with Oregon DMV, your driver’s license will be suspended. If the damages in the accident were below $2,500, but the other party is uninsured, you can still report to the DMV. You should mention clearly on the accident report that the mandatory reporting conditions are not met. Another important thing to know is that even if you have filed a police report, it does not absolve you of the responsibility of filing the accident report with Oregon DMV. The accident report should be filed additionally. The first step is to fill out the Oregon Accident and Insurance Report Form. You can download this form at Oregon.gov/ODOT website and take a print. Or, you can obtain this form from the local DMV office in Portland, the police department, or the sheriff’s office. The DMV will add the car accident to the records of the driver(s) who were involved in the accident and who meet the reporting criteria. Retain a copy of the form for your reports. (Oregon DMV will not provide you a copy of your car accident report). Send the completed form to any DMV office in Portland, or mail it to the DMV’s Accident Reporting Unit, 1905 Lana Ave NE, Salem, OR 97314. You will have to file an SR-22 to have your license reinstated. SR-22 filing for three years following the end-date of license suspension is mandatory, even if you were not at fault for the accident. This law is applicable even when the damages in the car accident are below $2,500. Insurance companies and brokers are also required to inform Oregon DMV about these kinds of accidents where they believe that a driver has no liability insurance. If you are a driver involved in an Oregon car accident, and meet the accident reporting criteria specified by the DMV, you are required to notify the police immediately. Stop your car at the accident site or as close as you safely can without endangering or blocking other vehicles. If you leave the accident scene, you could be charged with “Hit and Run” in Portland, OR. A conviction would mean revocation or suspension of your driving privileges. Render aid to any people injured in the accident. Remember that an injured person should be moved away with extreme care. In some cases, they must not be moved at all except by trained paramedics or other emergency personnel. If someone is unconscious or has been killed in the accident, the driver is required to remain at the accident site until the arrival of a police officer. Violating this rule will result in a “Hit and Run” charge. If you hit an unoccupied/unattended vehicle, you should try to locate the owner. If you are unable to find them, leave a note informing that you are the driver who hit their car, and how they can contact you. The law in Oregon requires you to mention your name, address, and a brief description of the incident on the note. If you have caused damage to property other than vehicle, you should try to locate the owner or in-charge of the property, failing which, you should inform about the damage similarly by leaving a written note. If you are involved in a highway crash and have not suffered any injury, you should move your car over to the shoulder, provided it is safe to do so. This will allow the traffic to keep moving. If you fail to remove your car even if it was safe to do so, you could be issued a traffic ticket. If you are involved in a car accident in Portland, OR, you are required to inform your insurance provider about it. Provide accurate details of the crash and your injuries, and cooperate with the insurer. Stick to the facts of the incident, and avoid giving any other comments or opinions. If the insurance company later discovers that you intentionally misled them in some way, it could result in a potential denial of your claim for damages. If a police report was filed, make sure to obtain a copy of the report and refer to the facts mentioned therein to your insurance company. Note the name and contact details of doctors, surgeons, physical therapists, chiropractors, or any other medical professionals who are involved in your treatment. Maintain an account of the medical treatments and procedures you undergo. Obtain copies of all medical reports and invoices, which will later be used to justify your medical costs. While medical bills can be documented rather easily, pain and suffering are more subjective matters to prove. Keep a detailed record of your injuries have impacted your daily life, including leave from work, daily activities that you are not able to perform, and details of how the injuries have affected your personal life. In addition to your physical injuries, include description of your pain, anxiety, depression, loss of sleep and other mental agony in your notes. 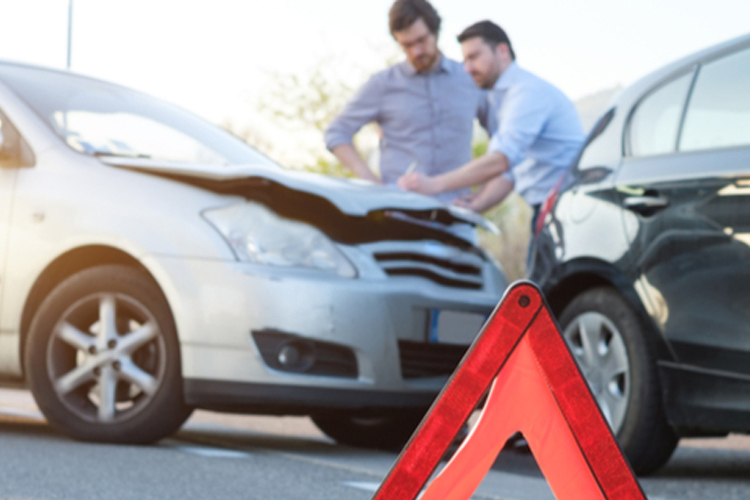 Courts often consider such records to be more reliable when they are prepared as soon as possible after the accident rather than much later as an afterthought. But if you recall something at a later stage or the symptoms of your injury show up only later, you must record that information. Do not ignore seemingly minor details. For example, if you record “slight discomfort in the neck,” it could later support your claim if you end up developing chronic back pain resulting from the accident. This is why you don’t want to take any money from the insurance company. Don’t accept their offer. You don’t even know what is fully wrong with you. If you take their offer and you later develop some medical problems you will not be eligible to sue them. You will not be entitled to anymore compensation. Their offer is just enough to cover your car loss and perhaps a little extra for your trouble. It is not enough to cover your lost time at work, pain and suffering, and other medical issues. Don’t sign any of their paperwork until you have a legal pro representing you. For a no-obligation, free legal consultation call the office of Dwyer Williams Cherkoss in Portland, OR at 1-800-285-8678 today.